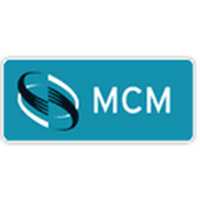 ● MCM Electronics’ Daily Deal features products at a price lower than they are sold anywhere else. You can save up to 75% by checking these deals. There is a new deal every day. ● MCM Electronics offers a new product for Bulk Bargain every day. You can save up to 95% off retail by purchasing a specified quantity of the product of the day. ● Get everyday free shipping on $200+ orders at MCM Electronics. Visitors to the MCM Electronics website are going to be able to purchase discounted electronics, parts, and accessories for audio and video equipment, batteries and power pack solutions, chemicals, and entire DIY technology projects directly from this online retailer. Their product catalog contains more than 10,000 different technology related products, and they are committed to adding more and more every day. Visitors to the site for the first time are going to have the opportunity to join their email newsletter subscription service, and those that sign up will receive a 10% off coupon that they can apply to their shopping cart immediately. For most up to date offers check out MCM Electronics on Facebook and Twitter or contact MCM Electronics Support for any questions.